I worked with FutureSplash when it was still new. FutureSplash begat Flash. I was in the Flash2 Beta program from Macromedia. This early work got me attention. 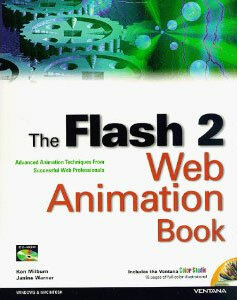 These animations were featured in The Flash 2 Web Animation Book. These pieces were all made in 1997. Since then I've programmed in Flash 3 and up, including ActionScript 2 and 3. This work was mostly freelance.